Eleven hours. Eleven freakin’ hours at Legoland. We were there when the park opened until the very bitter end. OMFG. I love Lego, don’t get me wrong. Those little coloured bricks were a part of my childhood. It’s just that my legs and sanity can only take so much. After awhile, I felt like chucking those cute little bricks... At the very least, my son had a blast. There was far less whining than at Seaworld. Of course we had to pick the hottest day during our stay in San Diego to visit Legoland. I could feel the sunburn as we waited in line for over 30 minutes at a time to go on a ride that lasted only 5 minutes. For me, I loved Mini-Land where they had miniature –sized Lego renditions of Star Wars, Washington, D.C., San Francisco, Las Vegas and NYC. Way cool. We were quite famished by the time we exited the parking lot and briefly considered going for something interesting to eat; however, we really didn’t have the energy or intestinal fortitude. Thus, we settled on fast food of sorts at Smashburger. Somewhere along the same lines as Five Guys and In-N-Out, Smashburger offers freshly made-to-order burgers. For me, the draw here was that this was kid-friendly and I had no intention of dealing with 2 hungry, tired and upset kiddies after a long day. Since I had been dining on what was essentially a “what-not-to-eat-if-you-want-to-live” diet for the past week, I settled on the Chicken Burger. I guess in theory the chicken was healthier. Not sure about the large amount of blue cheese and side of Fried Onions. I found the thin chicken breast to be quite dry as well as the chipotle bun. 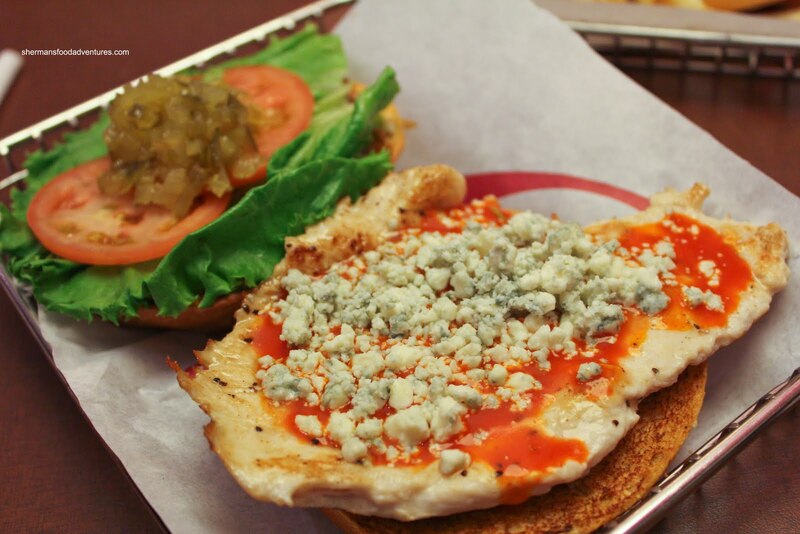 The thing that saved the burger was the blue cheese and other condiments. 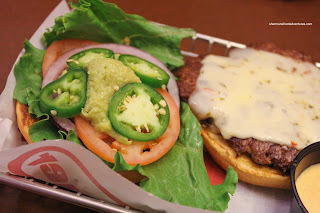 Actually, by stuffing the burger full of the onions, it made it all that much better. 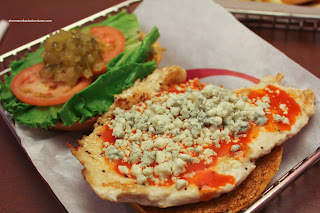 Viv had the Baja Smashburger on an egg bun. Although the meat was pretty good, it was also dry. She didn’t mind it; but she would much rather have an In-N-Out burger animal style any day. 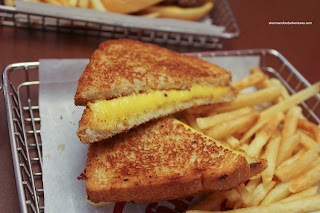 My son predictably had the Grilled Cheese with fries. Well, it was a grilled cheese. It was prepared correctly with good colour and a crispy exterior. He ate it all, so I guess that says everything. 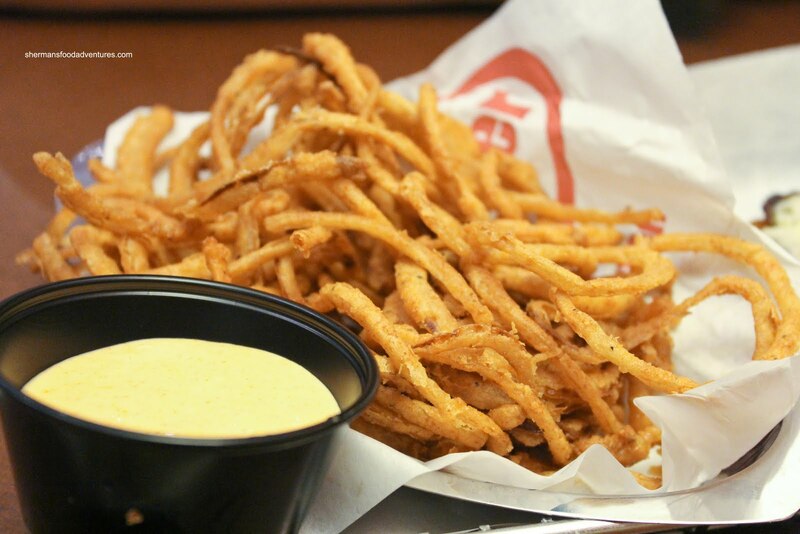 The skinny fries were okay. Not as crispy as I would’ve liked; but they did the job. My daughter had the Cheeseburger and much like Viv’s, it was dry. I needed to dip it into ketchup for some moisture and flavour. 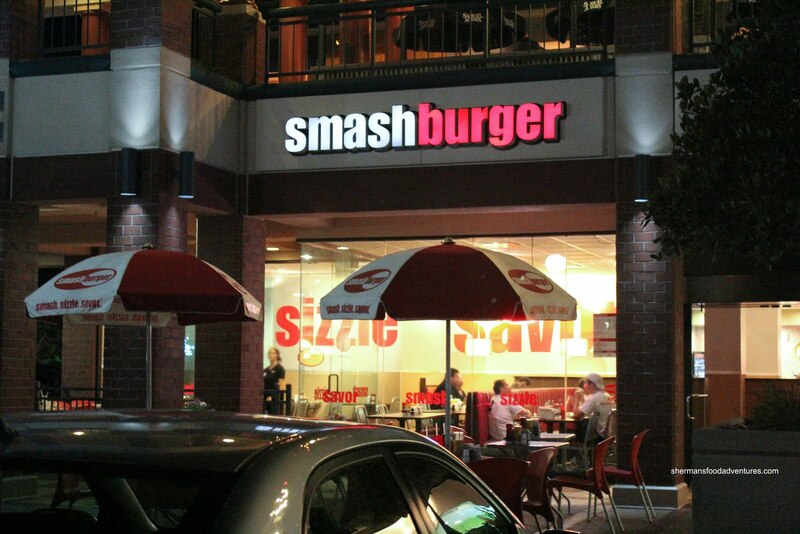 In the end, Smashburger did what it needed to do which was to fill our tummies and to be kid-friendly. I'm not sure if I'd chose it over In-N-Out (although they are not really the same type of burger joint) or Five Guys, but it is different from the regular fast food burger joints. At least the pricing wasn't too bad considering that the burgers didn't have the run-of-the-mill ingredients.